The Burial Ground is a quiet peaceful place, tucked away behind The Walled Garden. 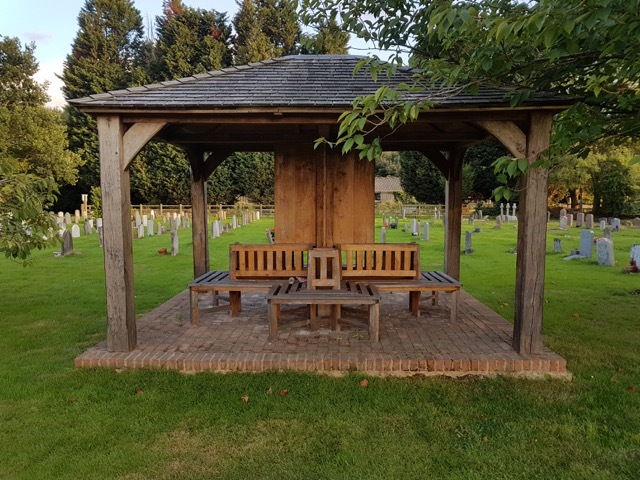 This has recently been extended and re-fenced, and a Jubilee Pavilion erected to augment the seats which provide a tranquil place to sit and reflect, and to take in the views of the North Downs. Families and their representatives may obtain further information regarding Burials and the Interment of Ashes from the Burial Ground Co-ordinator, Bernard Hawkins on 01737 843153. 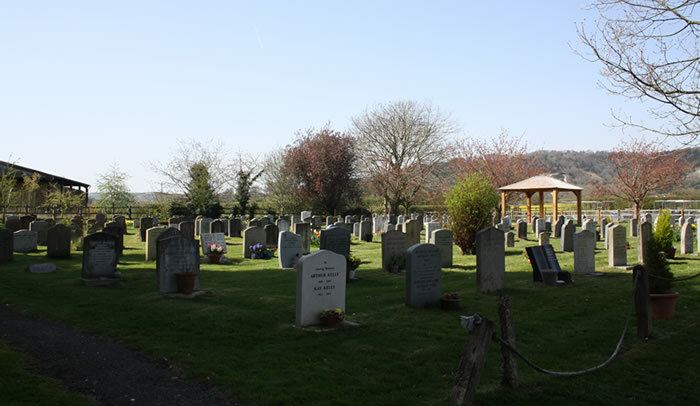 Our Burial Ground is in a very beautiful place, situated 200m to the North-West of the Churchyard, with views over the surrounding countryside and towards The Surrey Hills. It is approached along a dedicated pathway running north from the Greensand Way. There are two sections – consecrated and non-consecrated, and a special area for Ashes, to cater for all. All details of memorials, inscriptions, carvings, flower vases, etc. MUST BE APPROVED by the PARISH COUNCIL before orders are placed with memorial firms. Please submit full details to the Clerk to the Parish Council, in ample time. Contact details are at the foot of this document. Kerbing memorials and full flat ledgers, which were previously permitted, are no longer allowed because of the difficulty in mowing. Designs that currently exist that do not meet the design guidelines as outlined in this document are similarly not acceptable. Many ideal materials are to be found within the British Isles, including Portland limestone (Commonwealth war memorials are made from this material) and York Stone. However Nabresina limestone which is pale cream in colour and mined in Italy is acceptable. Traditional gravestones tend to be made from such materials and because of their unpolished surface will gradually weather and harmonise with their rural surroundings. or write or email to the clerk at the address below for your message to be forwarded.